Advance sales for this concert are now closed. $10 partial view tickets are still available and can be purchased at the door beginning at 6:30 PM on Saturday. On the eve of our golden anniversary, see VocalEssence shine as never before when we revisit some of our best-loved performances and hit new heights in the inspiring Cathedral of Saint Paul. 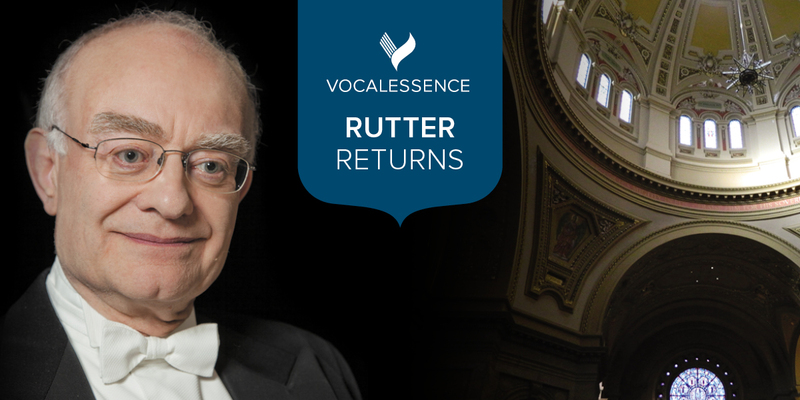 The incomparable John Rutter returns to conduct Feel the Spirit, a cycle of his spiritual arrangements for chorus and chamber orchestra, as well as a new piece he penned to celebrate our upcoming 50th anniversary.